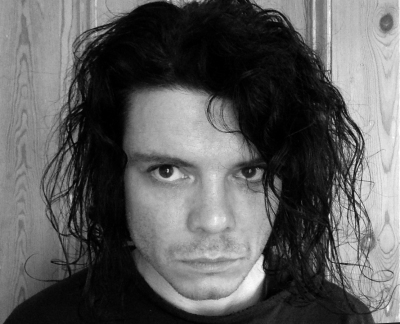 Rowyn Judd is a writer, musician and film production student from Southampton. They have been playing instruments and writing songs since they were 6 but only began performing publicly since starting university. Rowyn hopes to build their confidence to pursue ambitions in writing, filmmaking and performing. Although they would someday like to work creatively full time, they currently work as a chef, making sushi rolls in a sushi restaurant in Cheltenham. In their spare time Rowyn likes to solve Rubiks Cubes, watch films with friends and play tunes on the mandolin. Rowyn is transgender and doesn't identify as male or female, preferring the terms agender or genderless to describe themself. 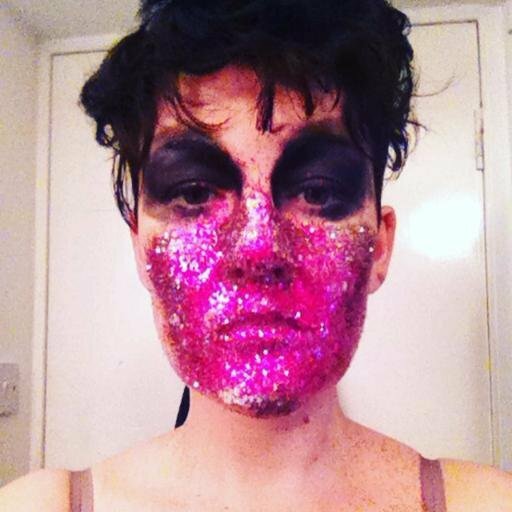 Kate Shields is a multi-disciplinary artist, currently based in Brighton and studying Fine Art. With a background in life drawing and portraiture, her work is mostly focused on the figure, the body, and how it relates to gender, sexuality, as well as perceptions of beauty, the self and others. After studying Art Foundation at the Kent Institute of Art and Design (Maidstone) and Fine Art Degree at Brighton University, Andrew has spent a large part of of his time making moody electronic music and touring around Europe and America as well as DJing at various venues around Brighton. In the last few years he has returned to his first love; that of drawing. And more particularly, drawing with charcoal. Recently Andrew has had work exhibited at Platform Plai Ground Pop up Gallery (Brighton), The What If Gallery (Dartford) The Yellow Book (Brighton), Junkyard Dogs (Brighton) and Dynamite Gallery (Brighton). 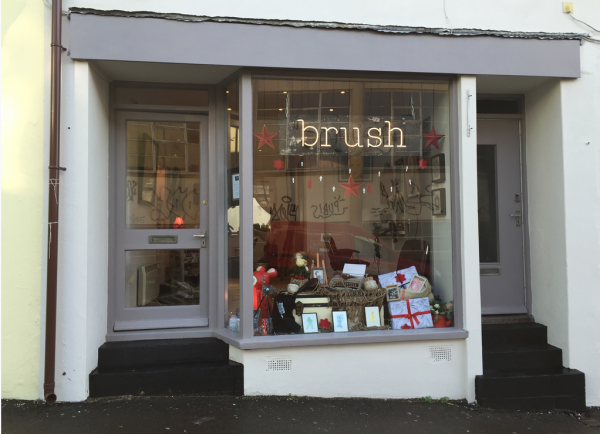 Brush is an independent boutique hair salon within an art gallery, in the heart of central Brighton's historic North Laine. 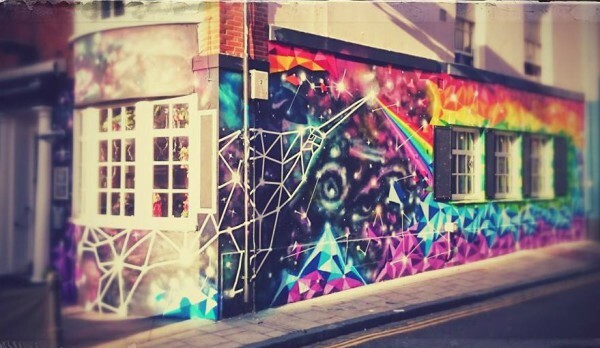 This unique business brings a new concept in creativity; while the vegan friendly salon offers all gender hair cutting + colouring services, the artist run gallery represents Brighton's mightiest emerging and established artists and makers. 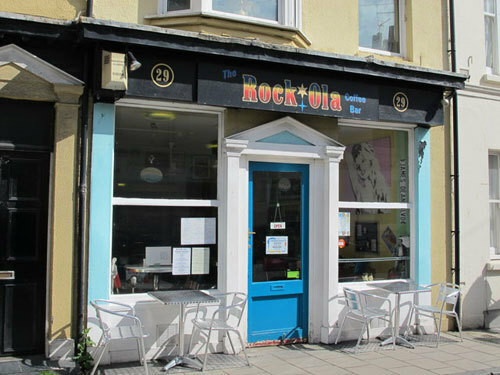 Rock ola is a 50s and 60s-themed cafe, full of rockabilly memorabilia and with a free jukebox. 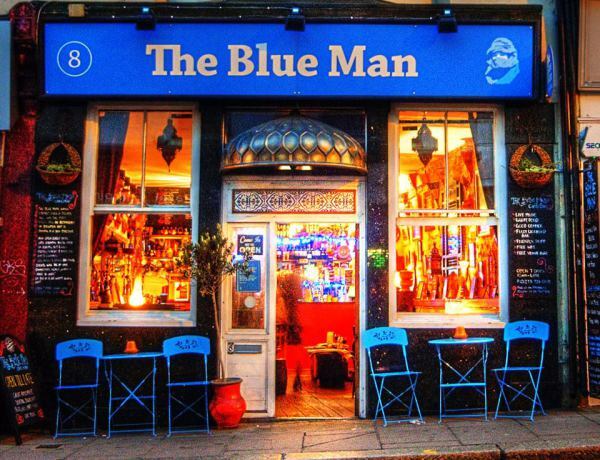 The meals, burgers and cakes are all made in house and we pride ourselves on serving excellent food at a fair price, with naturally reared and locally sourced meat from farms who put animal welfare first. We also have plenty of veggie and vegan options. A key Brighton fringe venue, The Marlborough Pub & Theatre is located in one of the city’s oldest public houses dating back to 1794. The building is rich in rumours of tunnels to the Pavilion, debauchery, and hauntings... These days, it is a friendly venue to all with a focus on queer and LGBT.